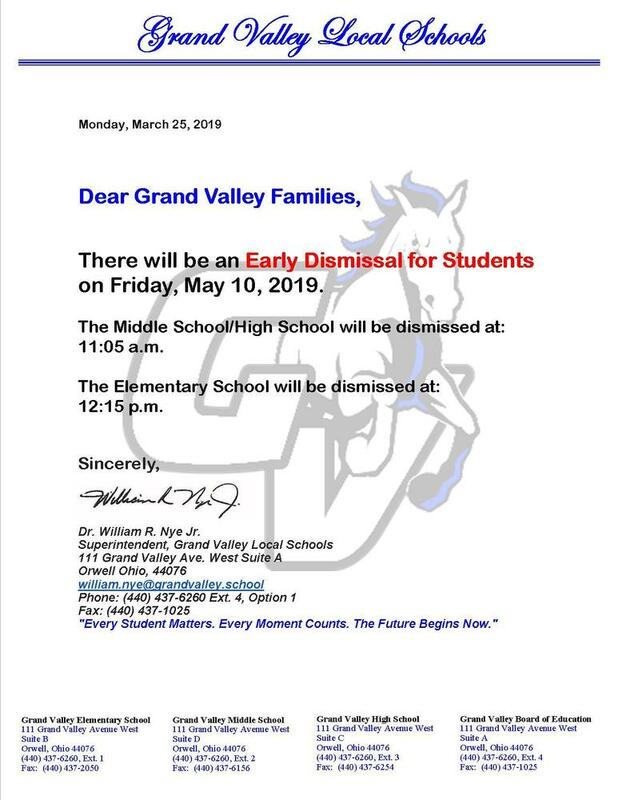 There will be an Early Dismissal for Students on Friday, May 10, 2019. The Middle School/High School will be dismissed at: 11:05 a.m. The Elementary School will be dismissed at: 12:15 p.m.